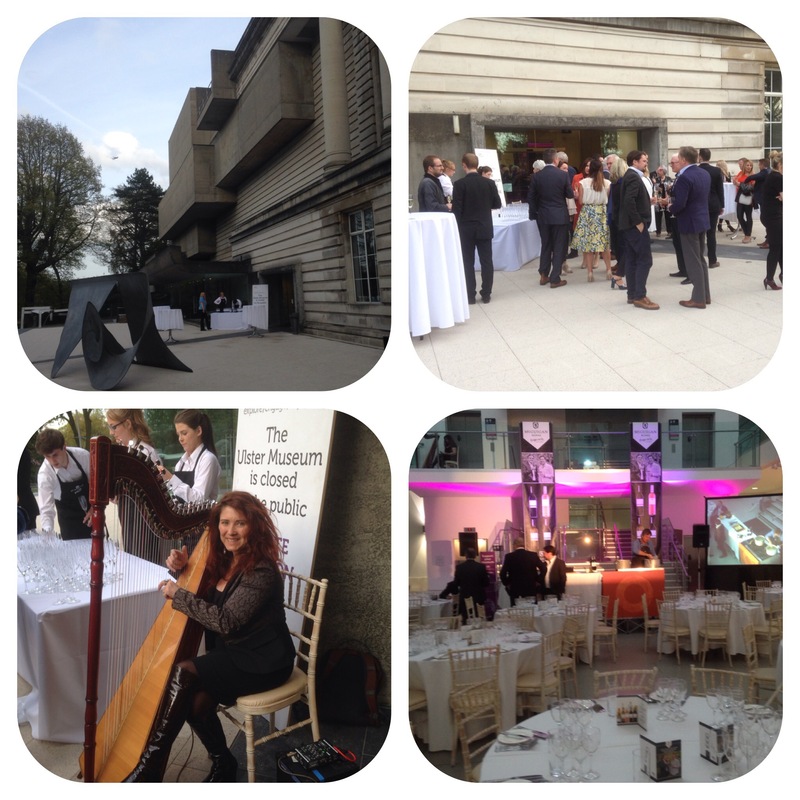 The foyer of the Ulster Museum was transformed into a wonderful dining area for 100 hungry people last night. 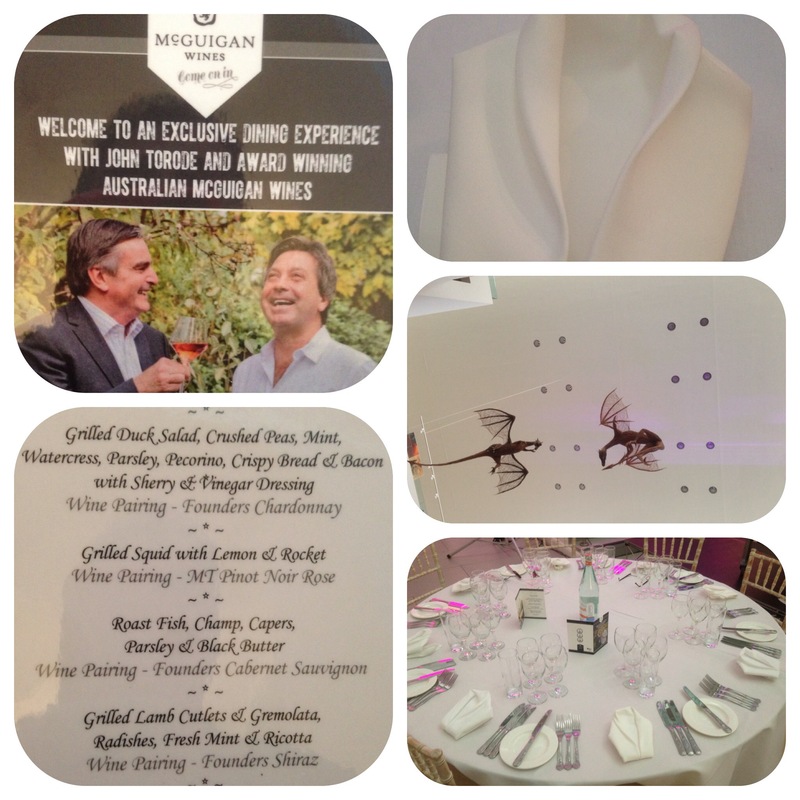 The event was an evening of fine food and perfectly paired wines hosted by Neil McGuigan and John Torode, courtesy of United Wines. 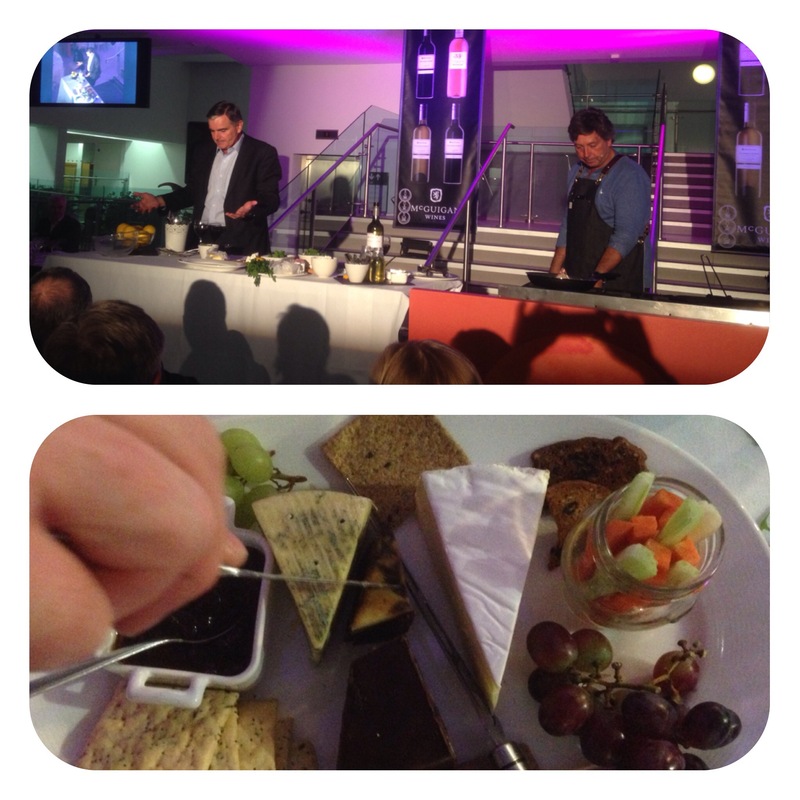 There was also a live chef station at the front where John cooked and Neil talked wines. There was a Frizzante reception outside and we were blessed with great weather!! The Harpist played some soothing music to add to the ambience. 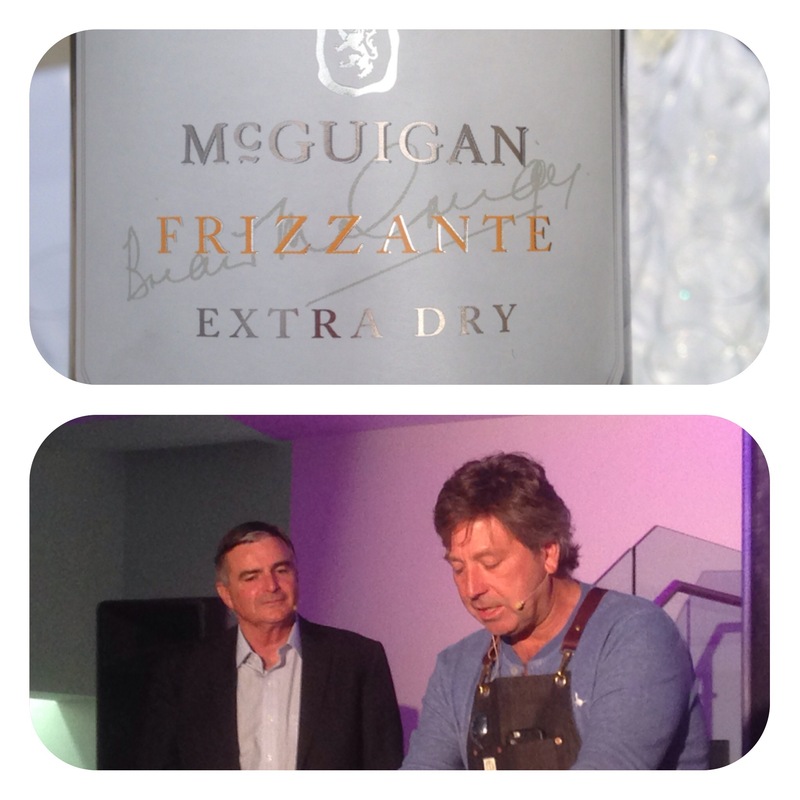 The Frizzante was a crisp, fruity, bubbly aperitif and set the evening up well. To start with we were served up a grilled duck salad with minted peas, bacon, bread, pecorino, water cress, parsley and dressed with a sherry and vinegar. 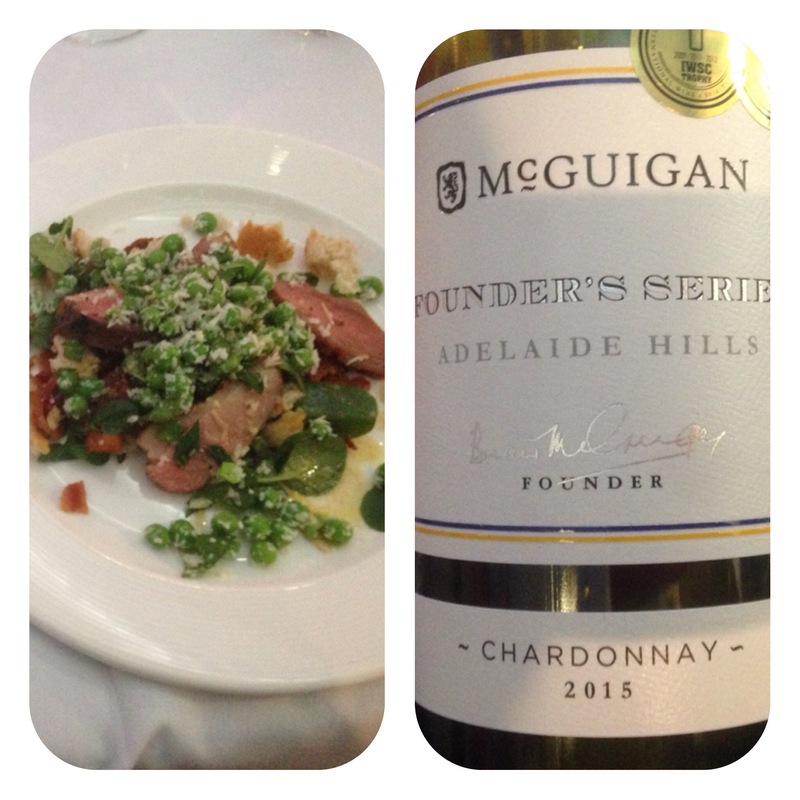 The wine paired with this was the Founders Chardonnay which complimented the salad very well. The duck was medium cooked and worked well with the wine. 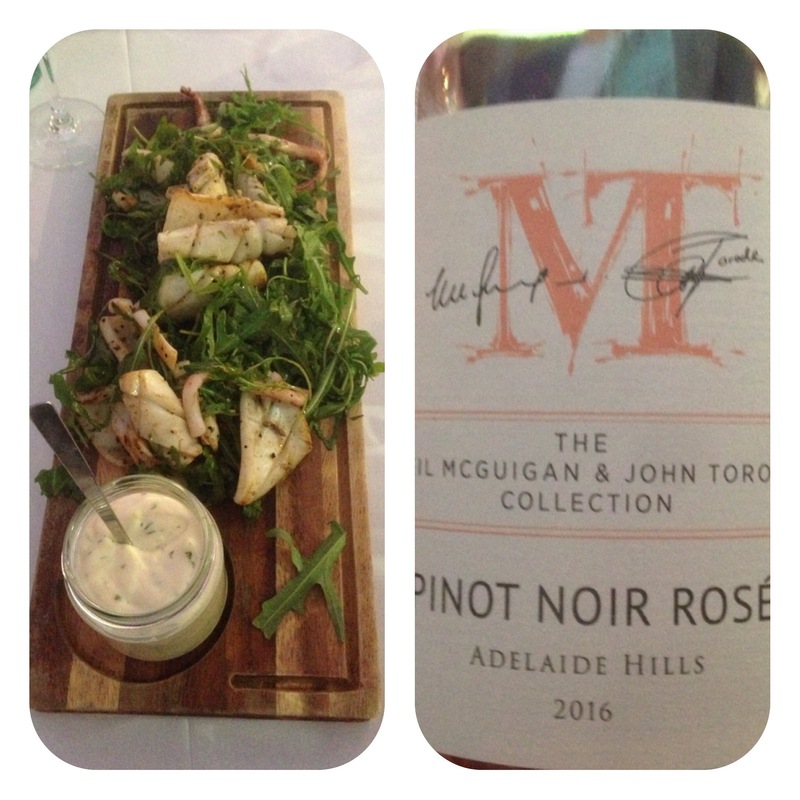 The second course was seared squid and rocket with a tangy mayo. The squid was perfect and the wine pairing was the Pinot Noir Rose. This was fruity and refreshing and worked great with the squid. Course three was pan and paper roasted fish with champ, capers, parsley and black butter. Yes you read it correctly…..the fish was roasted on a piece of grease proof paper in a hot frying pan. This protects the fish to an extent. 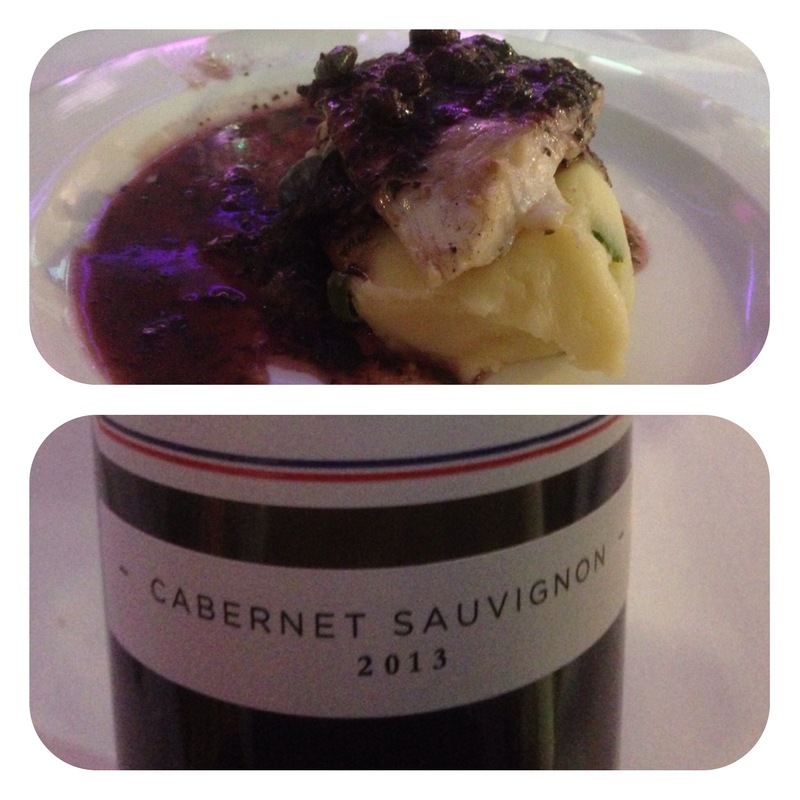 Tasted amazing and the wine of Founders Cabernet Sauvignon was amazing with the fish. Course four was grilled lamb cutlets with gremolata, radish, mint and ricotta. 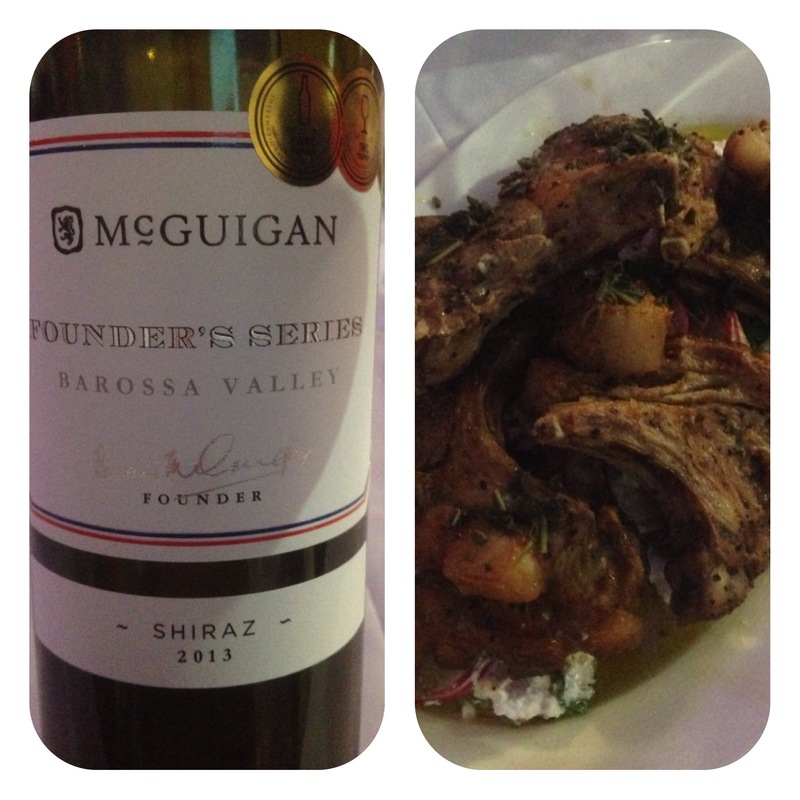 The wine was Shiraz and for me this was my favourite wine. The lamb was delicious and the radish was fantastic. John prepared each dish and explained how he constructed the dishes. Neil explained his choice of wines and informed us of the regions and grapes used. They are certainly a good wine pair!!! To finish the evening there was some lovely cheese. The boys mingled well and took time to come and talk to us all. What a superb night ! !